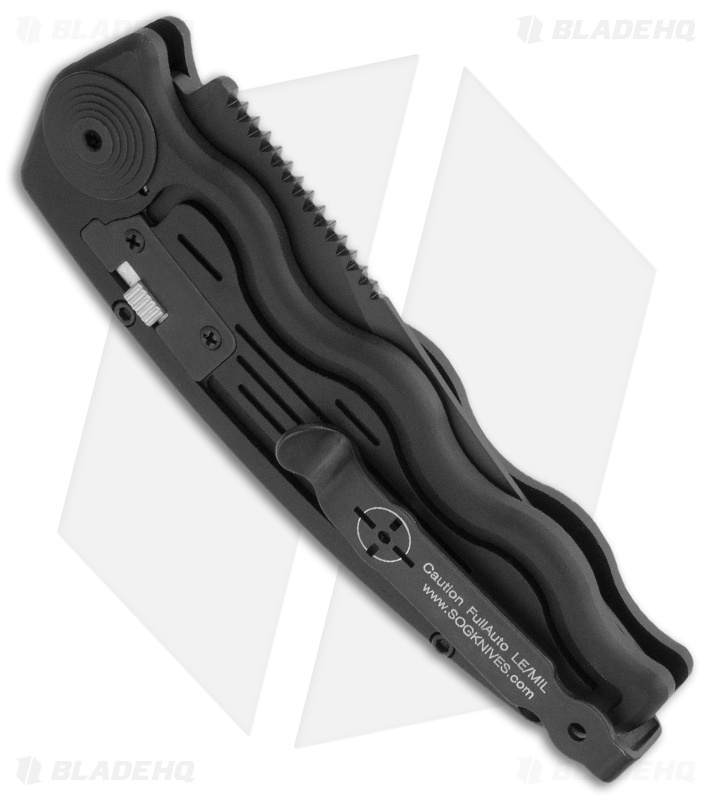 Another great addition to the SOG Tac line: the Mini SOG Tac! 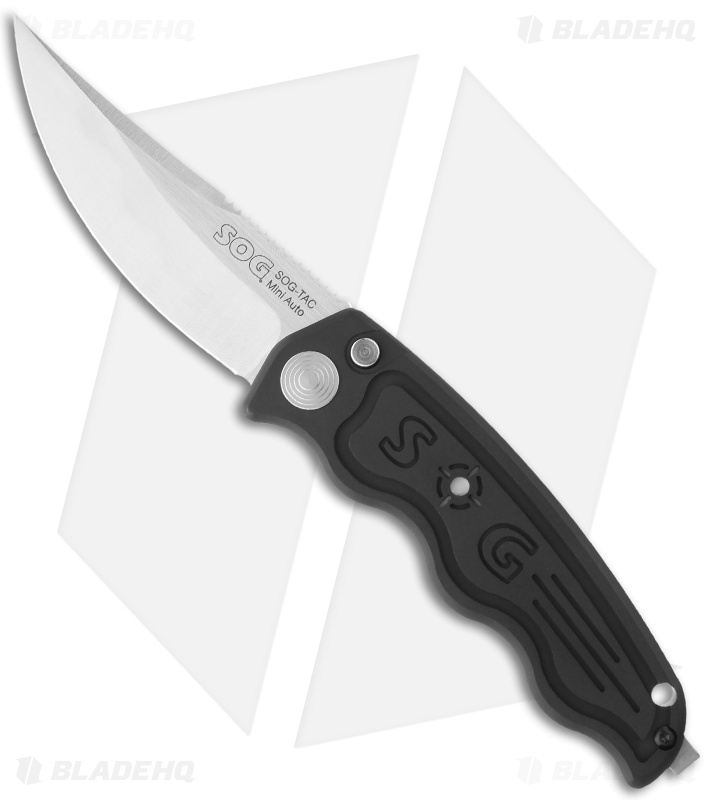 SOG has taken their awesome design and created a more compact version that's just as functional. Despite the knife's slim design it packs a serious punch. The action is very quick and the resulting lock-up is flawless. The body is machined black anodized T6 anodized aluminum. The contoured handle first the hand very comfortably. The upswept drop point AUS8 blade is as functional as it is aesthetically pleasing. The Mini SOG-Tac line features a safety that locks the blade in the closed or open position. A Pocket clip (see picture 2) for easy carry is included. The cross hairs in the handle center glow in the dark too.